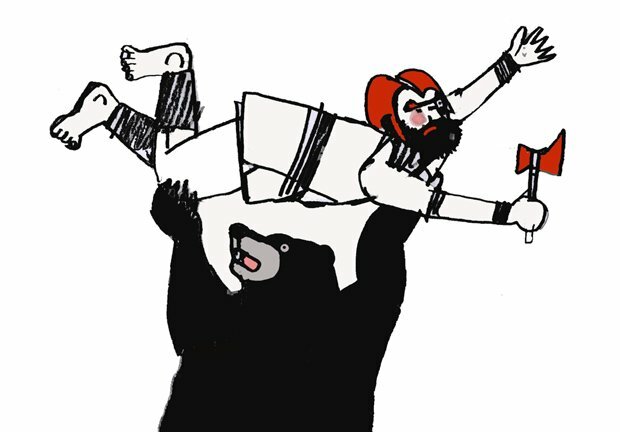 Jan Tait & The Bear is a cute chamber opera based on a Shetland legend. A story of greedy tax collectors, bears, bunions and butter. Written by Emily Doolittle it has a lilting, folky score brought to life by Ensemble Thing (featuring Aileen Sweeney on accordion, Alex South on Clarinet and Emily Walker on cello, conducted by Thomas Butler). Mezzo-soprano Catherine Backhouse takes the lead as Jan Tait, who finds himself exiled to Norway after killing one of the king's men as punishment and is sent out to kill the huge bear that is terrorising the local countryside. However things don't go according to plan. Baritone Brian McBride adds some fine comedic touches in multiple roles (in particular as the magnificent ursine protagonist). Narrator Alan McHugh (who has cropped up in everything from Taggart and High Road to Outlander and Limmy's Show) also keeps things rolling along nicely. The music is charming while Backhouse and McBride's voices are strong and clear making it accessible and perfectly pitched for an all ages crowd (although some of the youngest members of the audience did start wriggling towards the end). Summerhall, 13 & 14 Aug, 1pm; 15 & 16 Aug, 10.30am, £10 (£7, family £28).